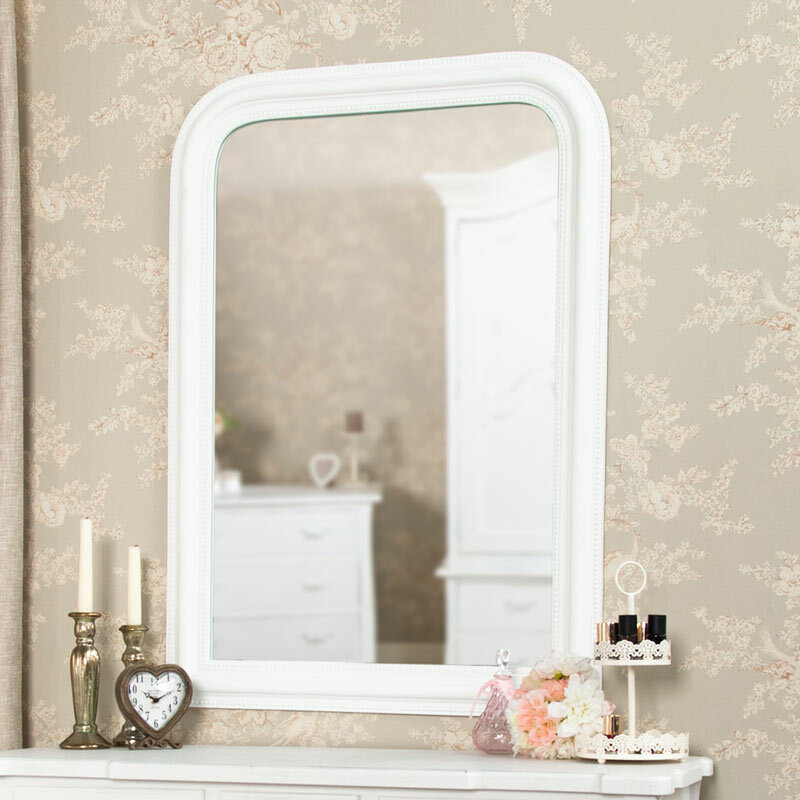 Add a beautifully elegant White wall mountable mirror to your living room or bedroom. A mirror that would look great above a fire place, hung over a mantle piece or even used a dressing table mirror over a console table. The mirror has a double beaded edge, subtle but beautiful and is a gorgeous white colour which would look fitting in any modern, vintage, contemporary and glamorous interior. A real centre of attention whether crowning a table or being displayed proudly lonesome. 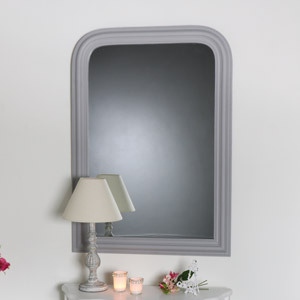 Add a beautifully elegant White wall mountable mirror to your living room or bedroom. A mirror that would look great above a fire place, hung over a mantle piece or even used a dressing table mirror over a console table. 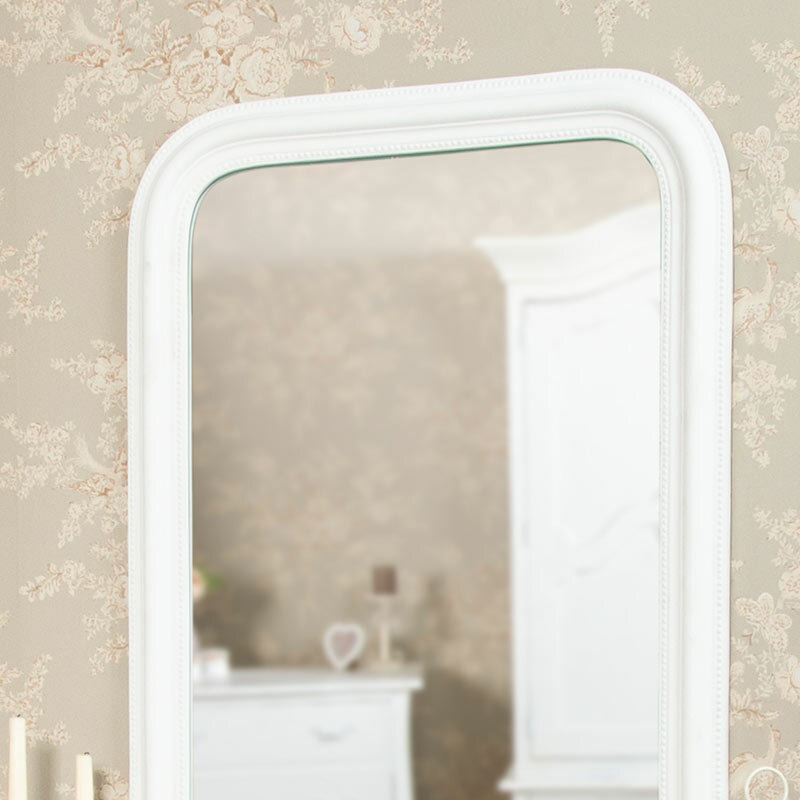 The mirror has a double beaded edge, subtle but beautiful and is a gorgeous white colour which would look fitting in any modern, vintage, contemporary and glamorous interior. A real centre of attention whether crowning a table or being displayed proudly lonesome. The mirror has two fitted hooks on the back making it easier to mount the mirror onto the wall. We understand mirrors are important in any home, not only to look good but they ae equally practical and that is why we have a large range or mirrors available on our website to suit any interior.